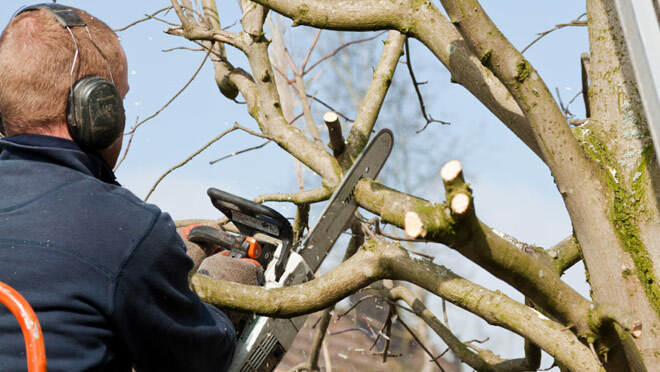 Cutting or removing an old tree is usually a quite dangerous thing to do and we highly recommend professional tree removal Sydney services to handle it. However, if you are unable to contact a specialist and need to get the job done yourself. We would like to give you some advice to make sure everything goes smoothly. Before you start, make sure that all your equipment is in a good working order. It’s also good to get some help from your friends or family. They will be able to assist you with directions when it comes to the fall of the tree, but they also can be around it case something goes wrong. Make sure you assess the risk first. Remove everything from the ground to avoid a tree falling on it. Adjust how tall is the tree you want to remove. Decide what direction you would like the tree to fall. Of course, you would rather avoid it falling on your house or fence. Remove all the items from the fall area so nothing will get damaged. Grab a rope and tie it around the middle of the tree. Give the other end to your friend and make sure they stay outside the fall zone. Cut a v-shaped notch into the tree towards the side you want it to fall. The cut should be at knee-height. Progress to the other side and start cutting until you are close to the notch cut. Do not cut all the way through. Move to your safe zone as the tree starts to fall. If the tree doesn’t fall, ask your friend to pull the rope mentioned in point four until the tree finally falls. 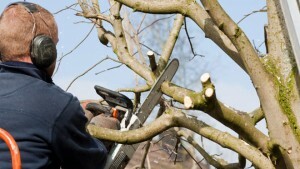 As mentioned above tree removal is a dangerous task and we recommend contacting Bradshaw Tree Services for any job you want to have done with your trees.